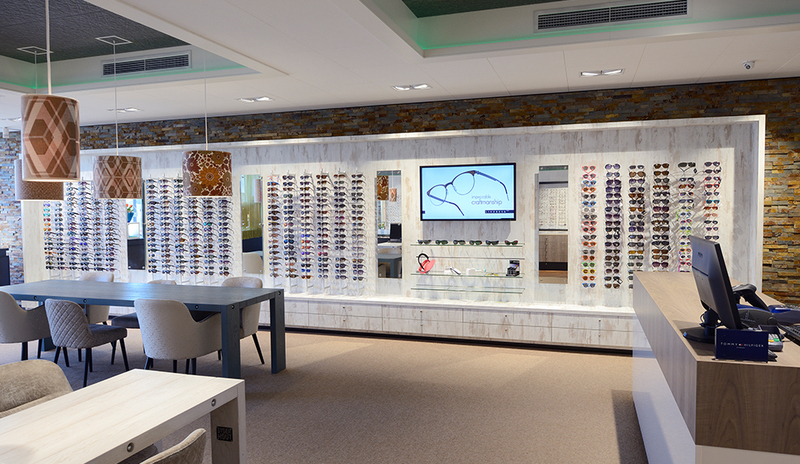 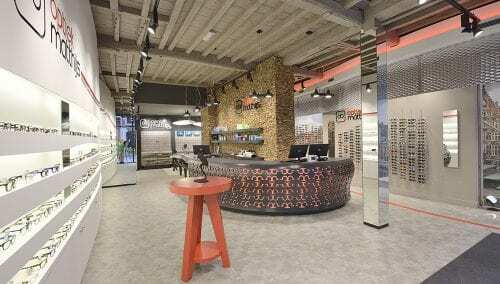 The interior of Valantijn Opticinas is divided into clear zones of merchandise exposure and customer service. 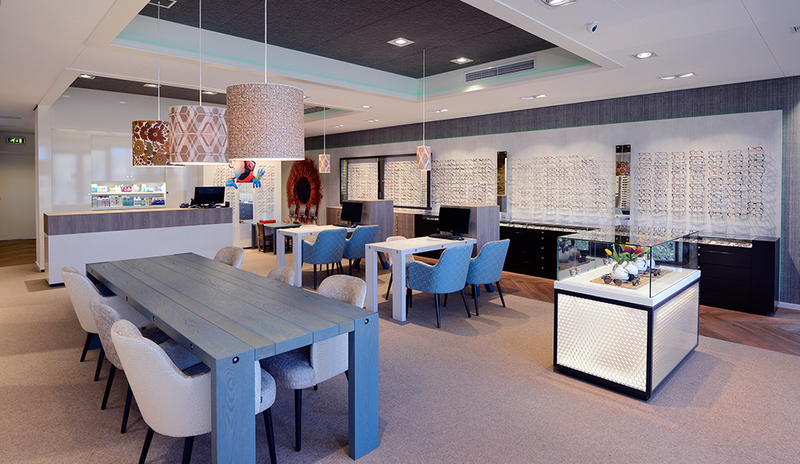 The contrasting ceiling with Led lighting creates a spectacular atmosphere. 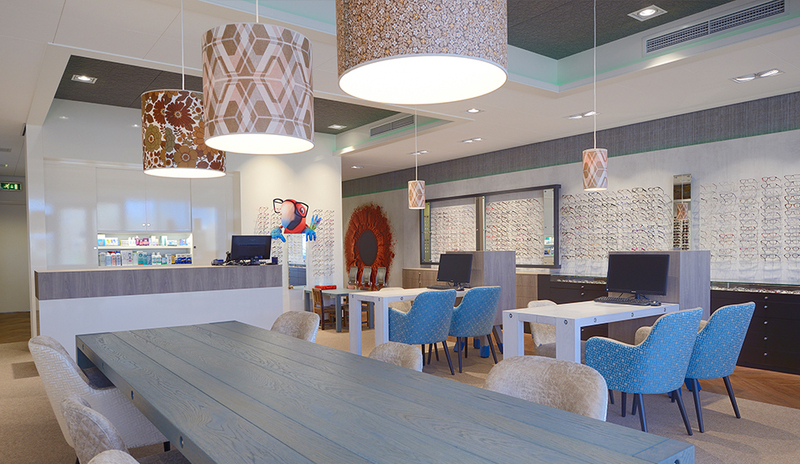 Not complete white like all opticians have. 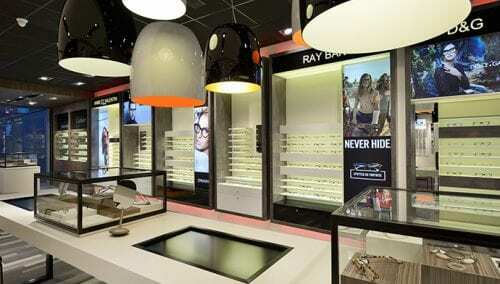 The back ground of the glasses frames is structured light and not (like most opticians do) complete white. 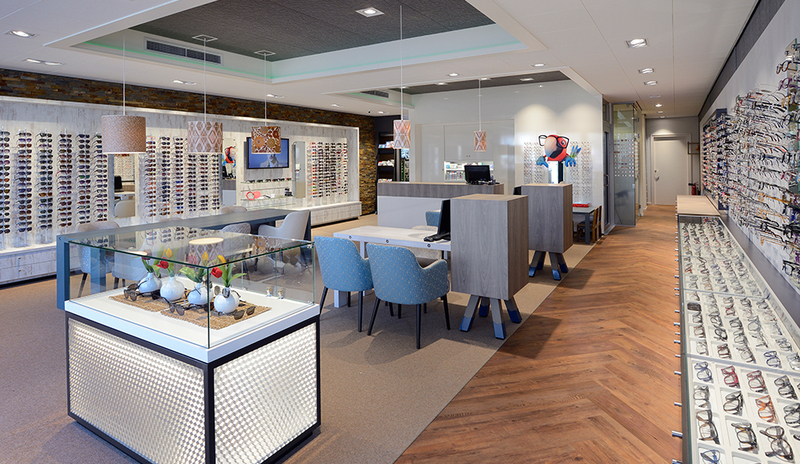 The central island of the shop is designed as a place for the selection of glasses and professional consultation.